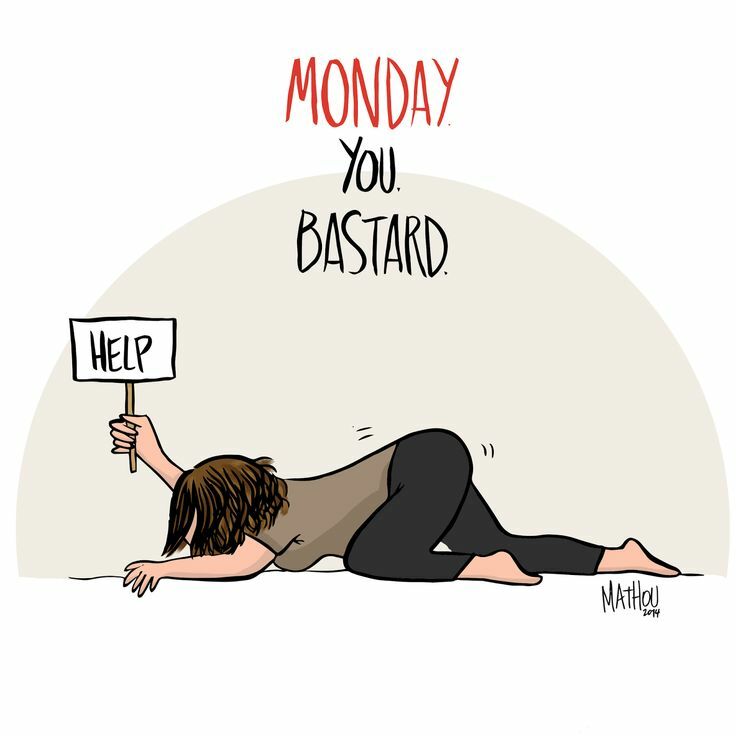 Ah Monday. 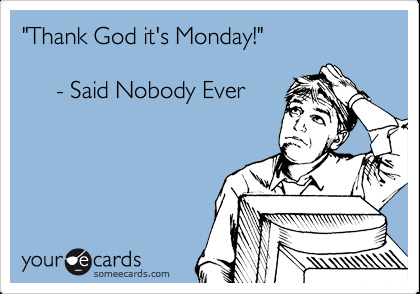 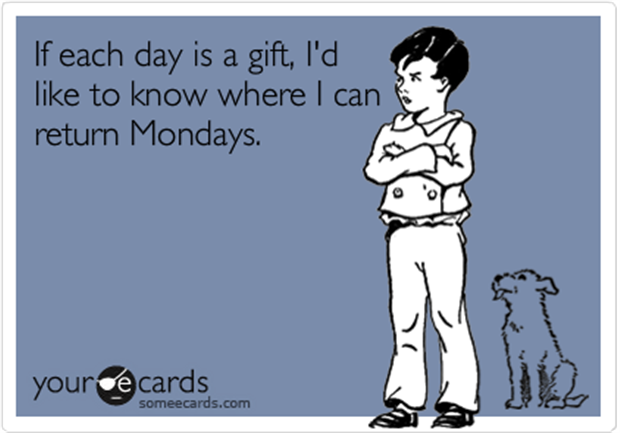 Nobody loves a Monday except for church preachers, pastors, reverends and the like, because they usually get Mondays off since they work Sunday. 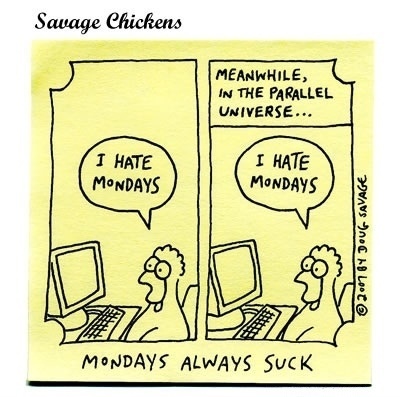 But the private sector, so to speak, dreads Sunday night because they know Monday is just around the proverbial corner. 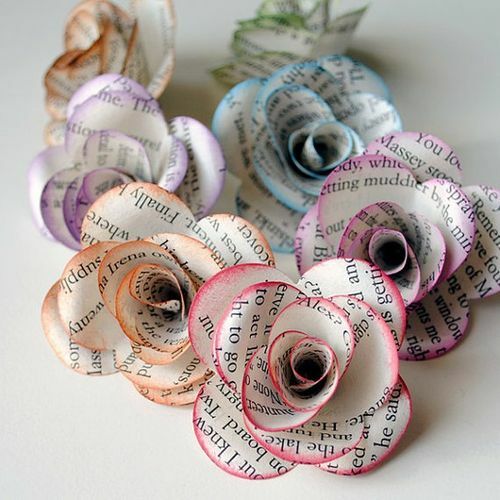 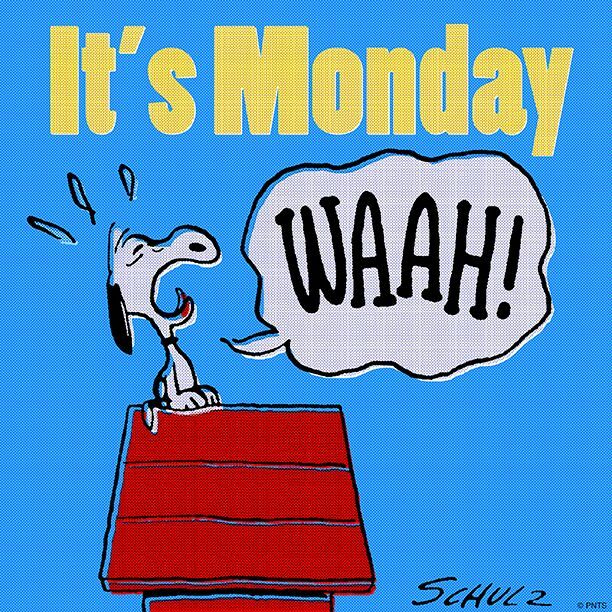 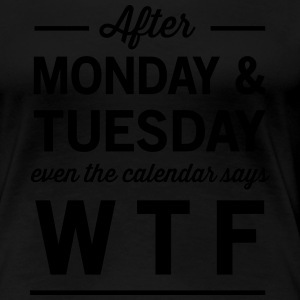 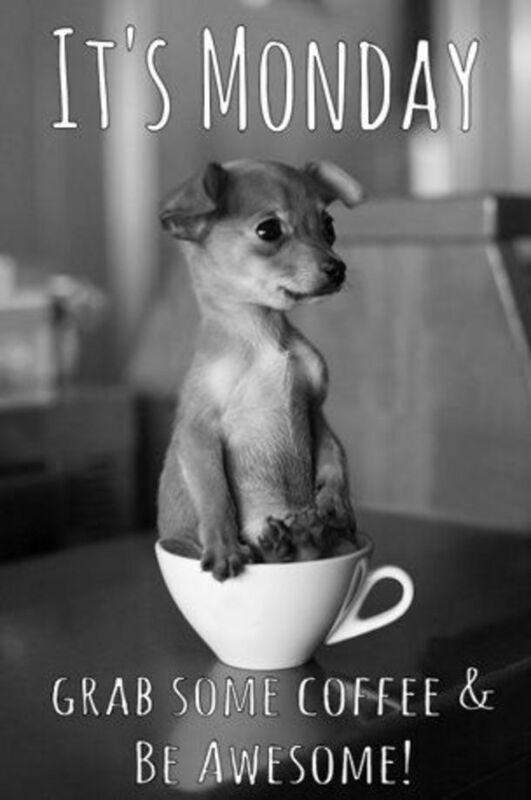 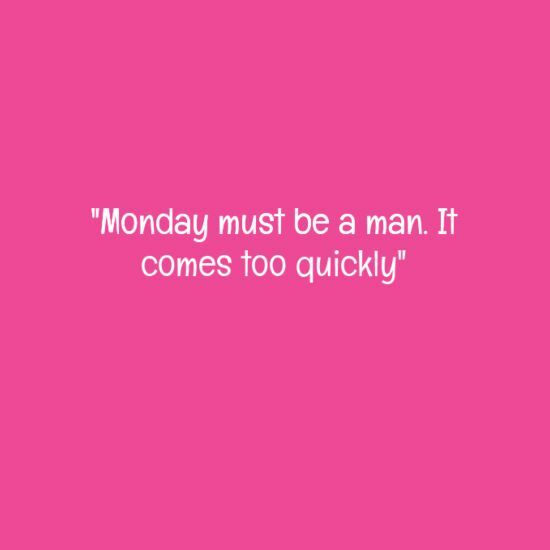 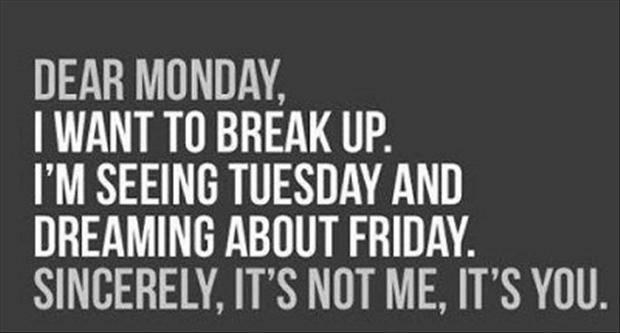 And so we wake up on Monday cursing the week and hoping for Friday to arrive quickly. 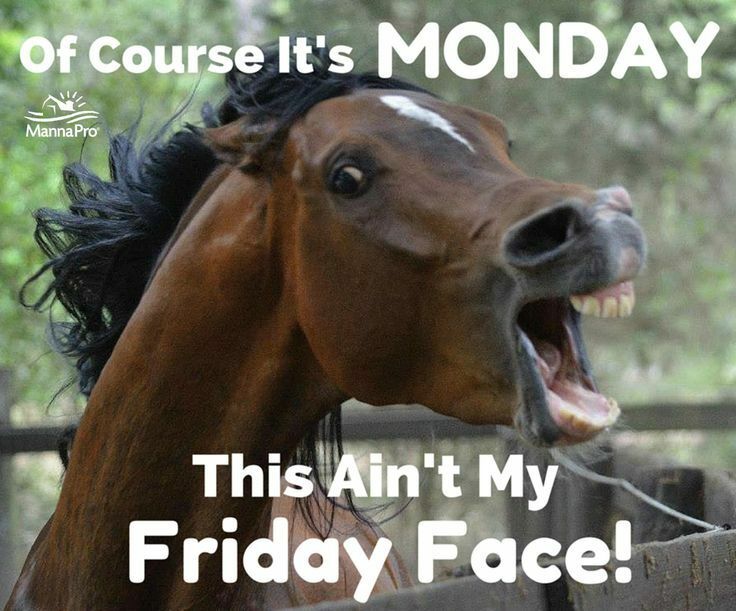 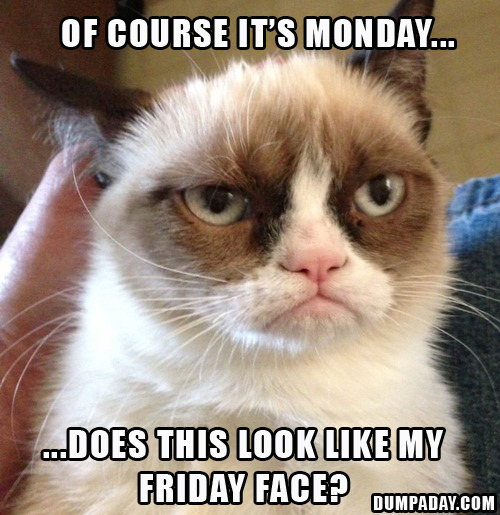 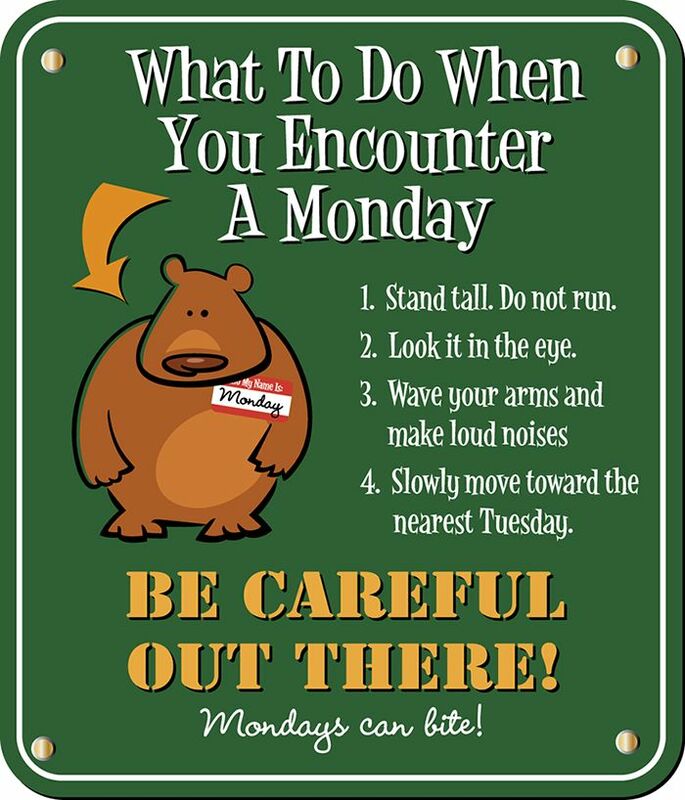 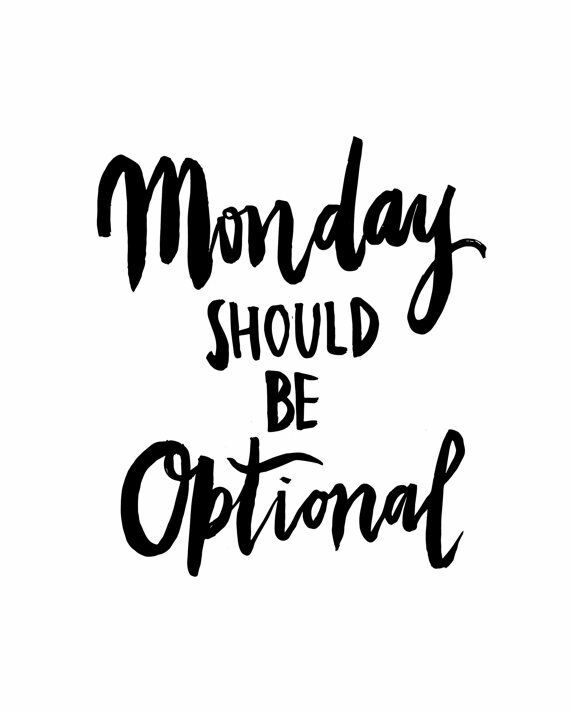 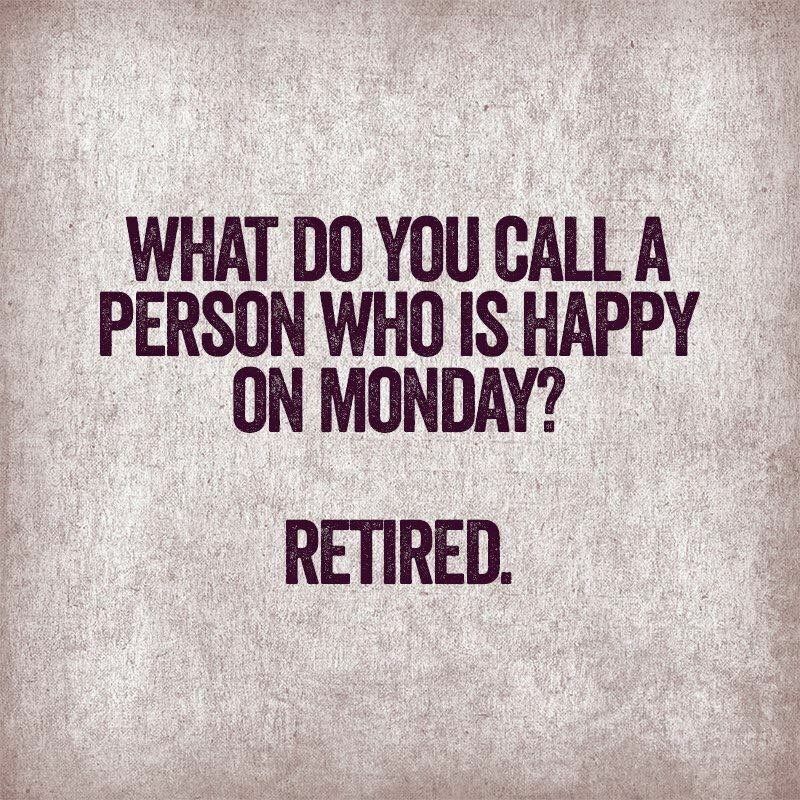 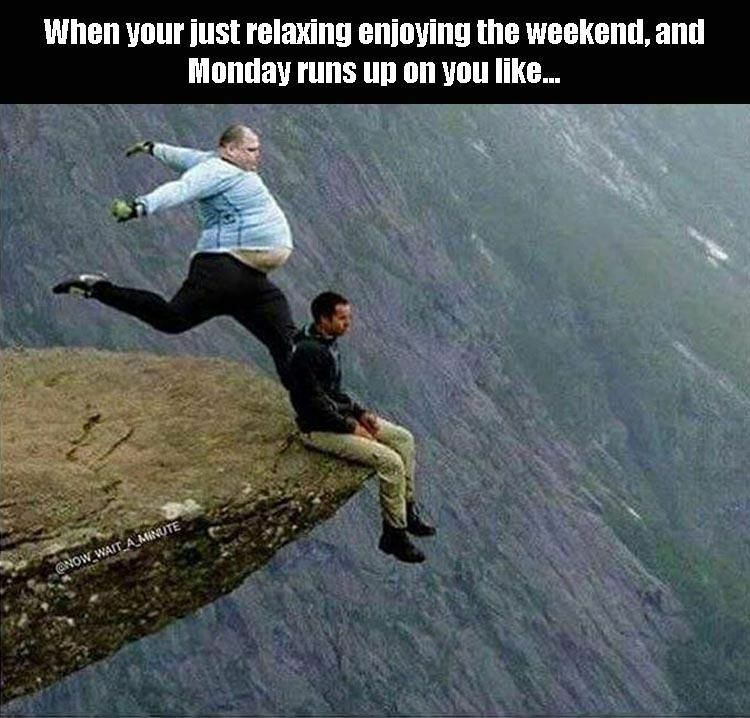 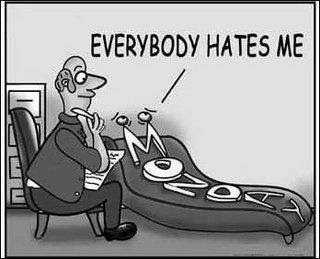 Well, we can’t remove Monday from the week, but we can help make it a bit more bearable by injecting some humor and laughs into this most hated day. 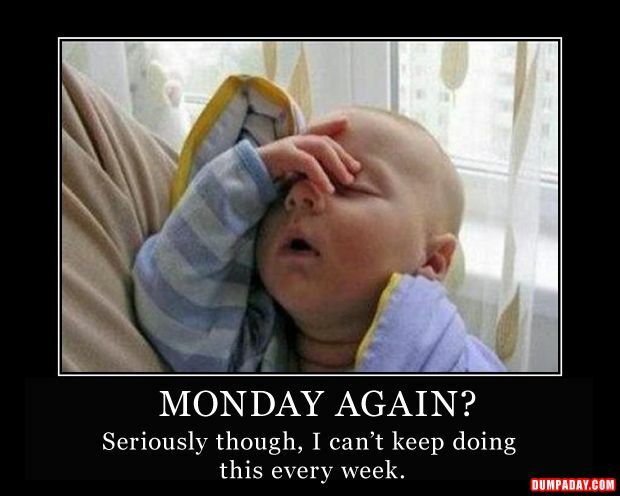 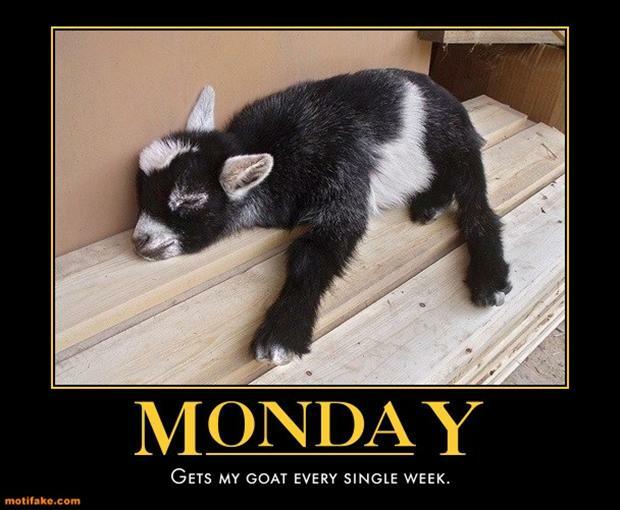 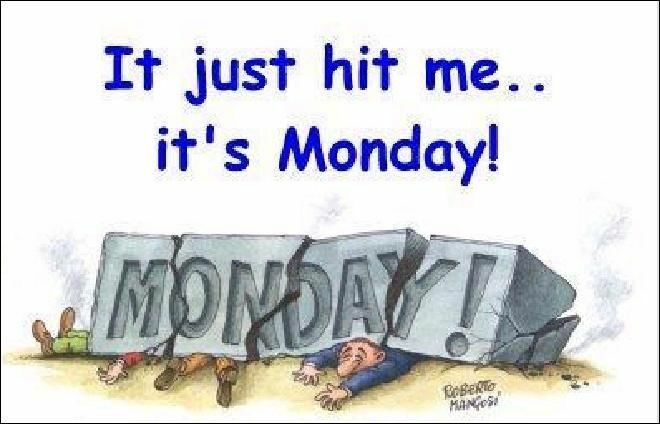 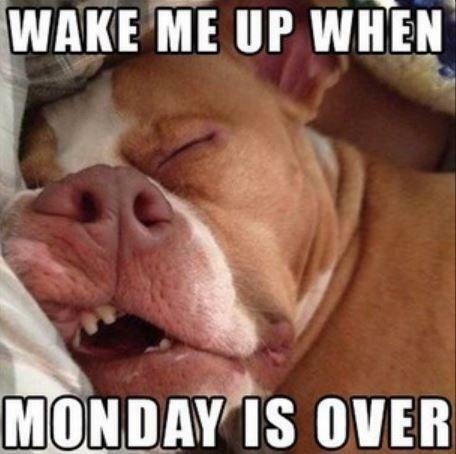 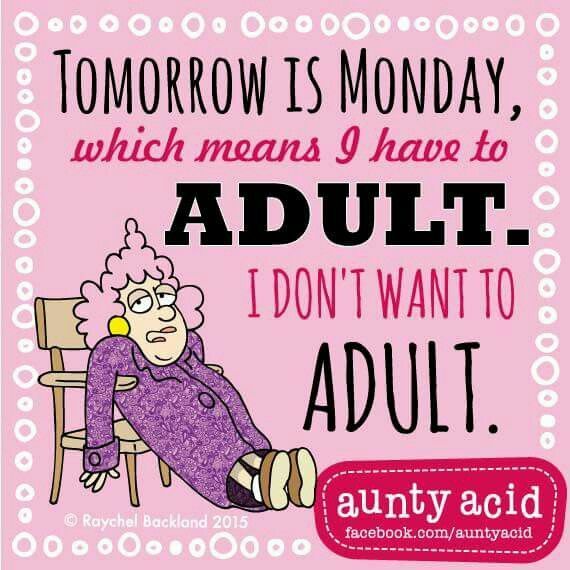 This funny pictures about Monday will work for a laugh any day of the week, but looking the the images on Monday may have more power to get you through Monday. 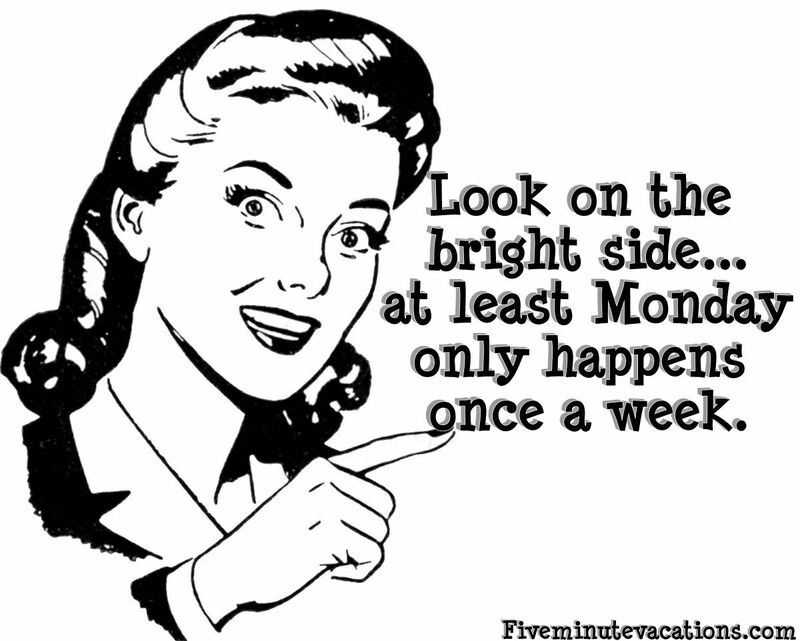 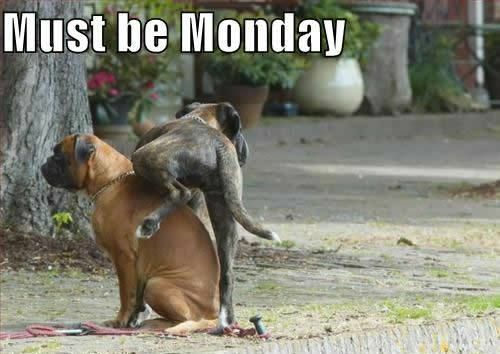 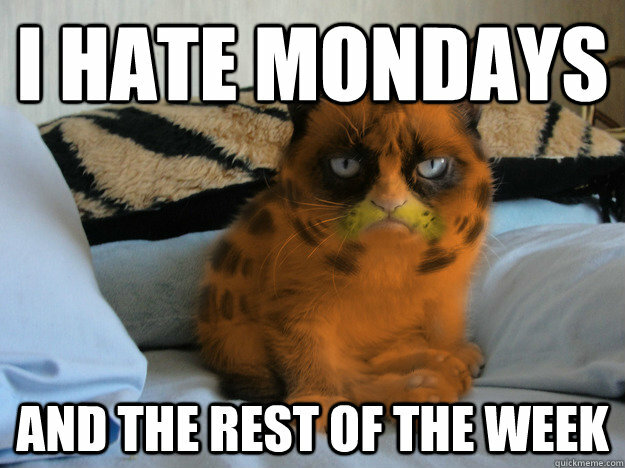 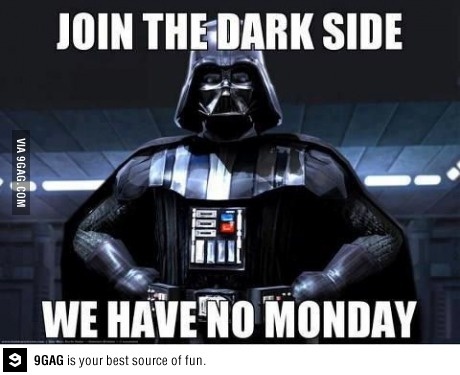 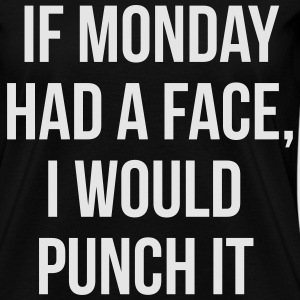 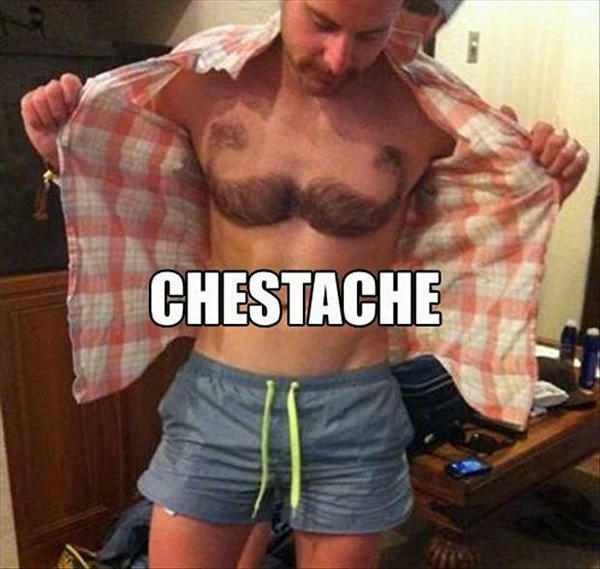 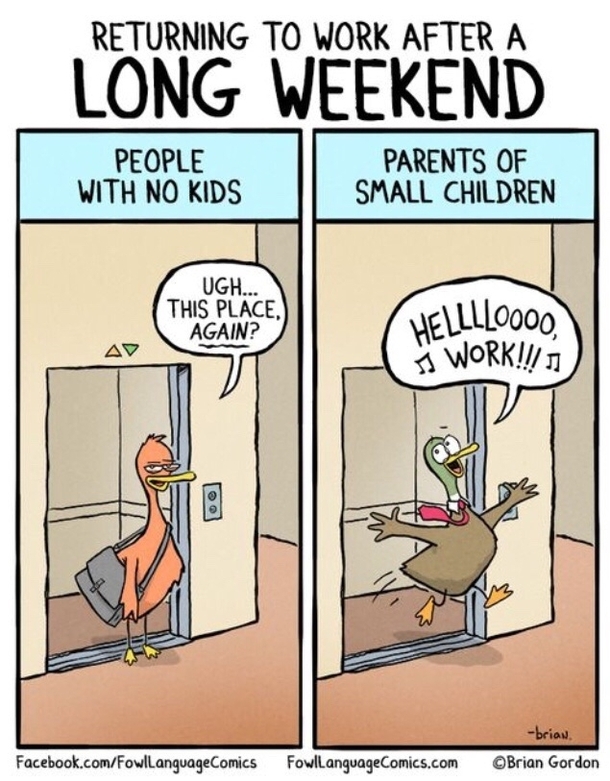 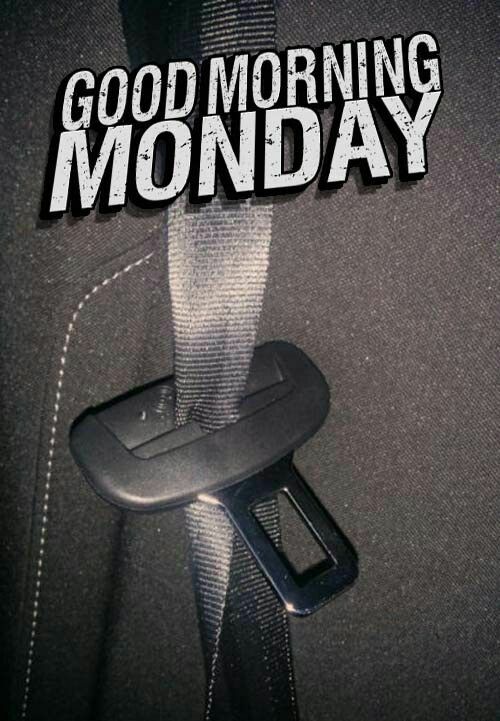 Looking at this Monday humor on other days of the week may just make you dread the upcoming Monday all the more. 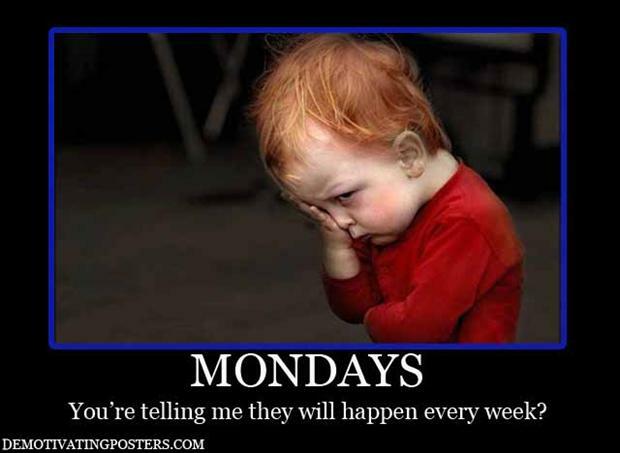 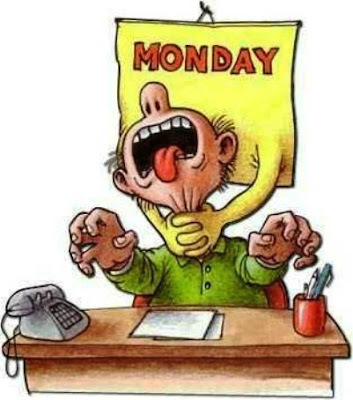 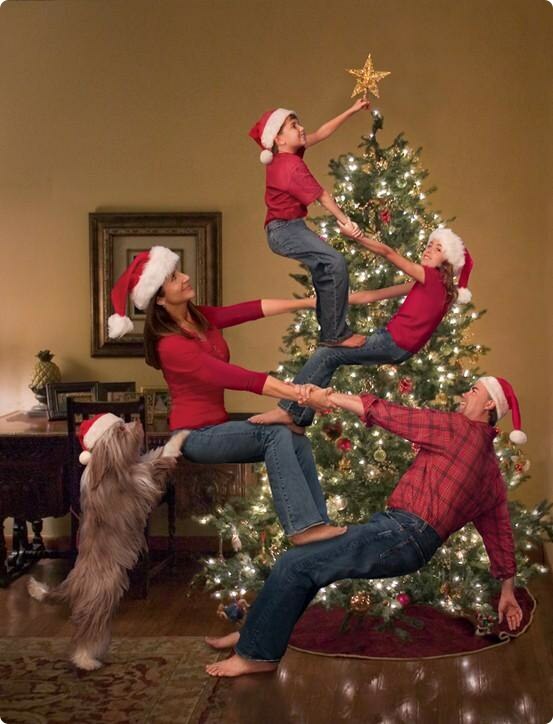 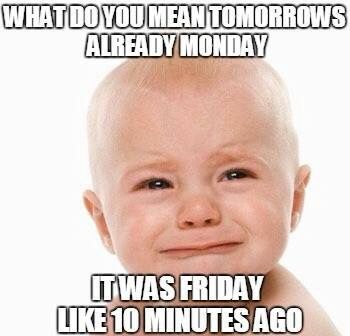 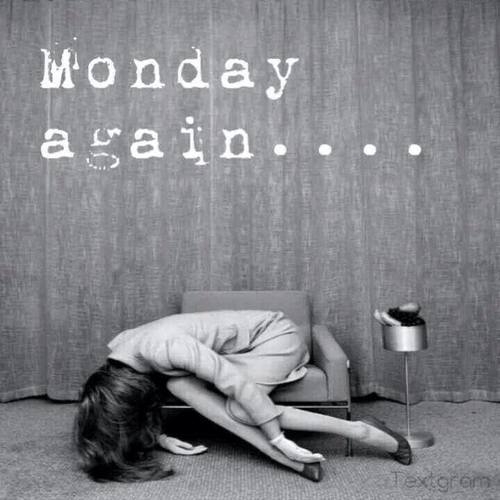 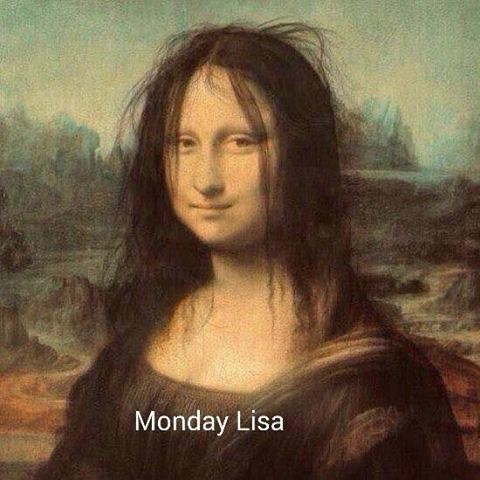 Once funny picture about Monday and I’m already dreading Monday. 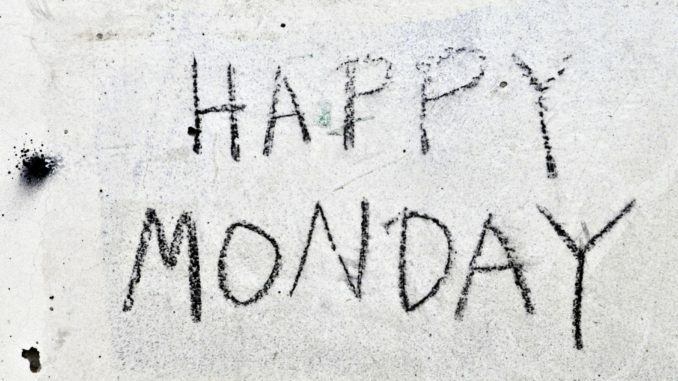 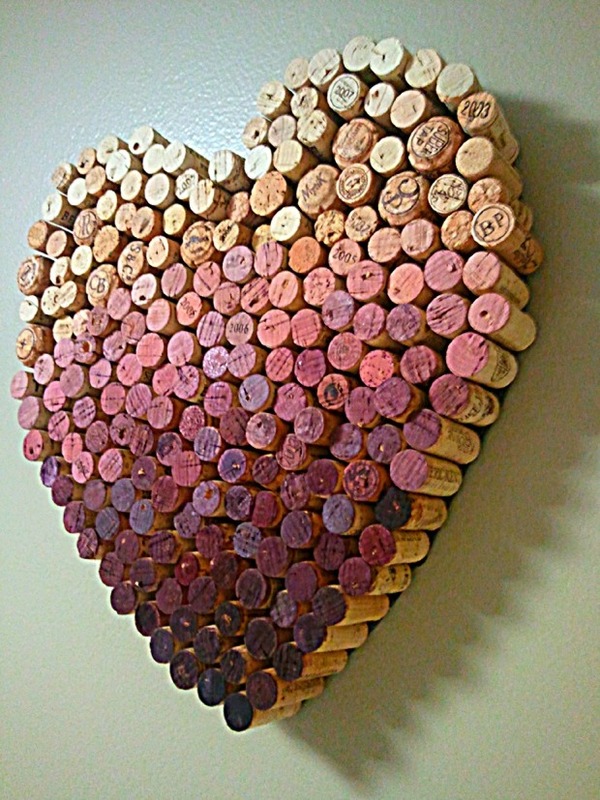 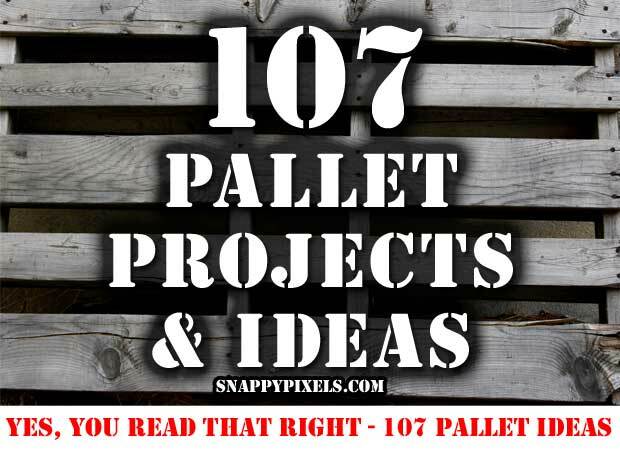 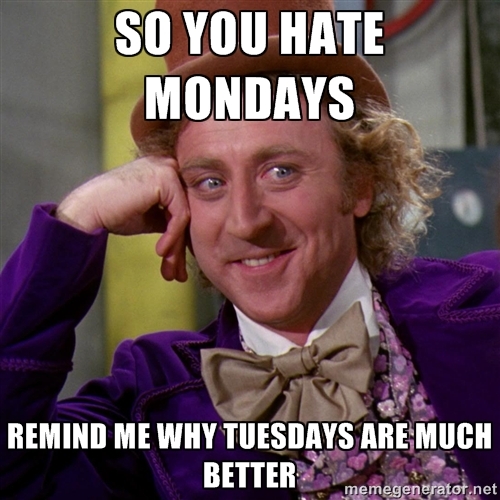 We have 52 Monday-related images, one for every week of the year, to get you to Tuesday. 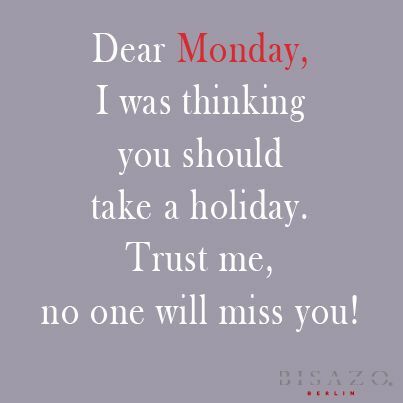 After than you are on your own, until Monday comes once again. 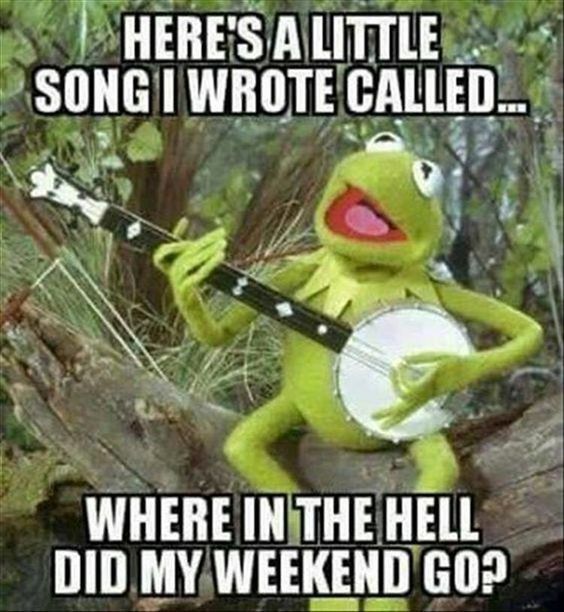 Let’s end it with Kermit saying what we all think we Monday shows up uninvited into our lives.